Sota Fujii, 14, whose quest to claim the all-time record for consecutive wins in shogi generated nationwide suspense over the past few weeks, saw his record win streak snapped Sunday at 29 matches. The shogi prodigy, who is ranked fourth dan, fell to 22-year-old fifth dan Yuki Sasaki in the second round of the prestigious Ryuo Championship finals at Tokyo Shogi Hall. The Japanese chess game appears to have come easy to Fujii, but the junior high school student’s rise was anything but black and white. His ascent to the pro ranks has set off an unprecedented craze in Japan, even among those unfamiliar with the traditional board game. With Fujii’s achievement, it appears a cloud has finally been lifted from over the shogi world. Last fall, the shogi world was rocked by allegations one of its top players used software assistance to cheat, although the player was ultimately cleared of wrongdoing. 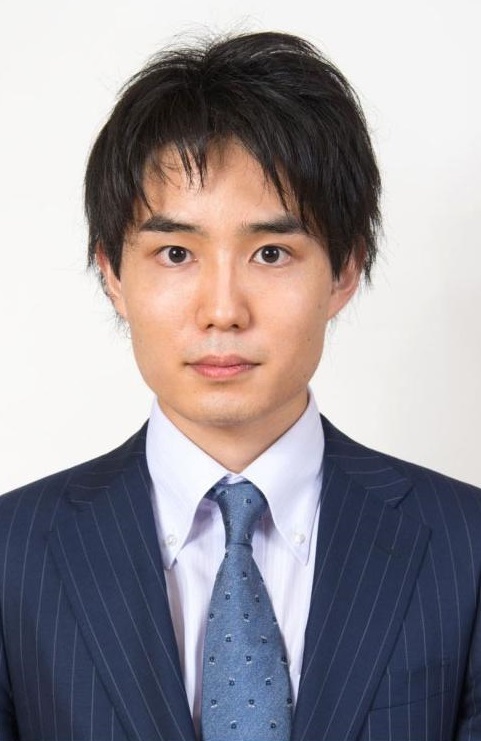 Like all aspiring shogi players, Fujii entered the Shorei-kai academy, a society under the Japan Shogi Association that trains young players as they climb the ladder to professional status, which begins at fourth dan. For the 29 players, including Fujii, who began entering third-dan tournaments from April to September last year, only two slots were opened to new professionals. Fujii was on the bubble with 12 wins and 5 losses and entered his final game needing to win to gain promotion. But after besting his rivals and breaking into the professional ranks, he was once again able to find joy in playing the game with a carefree attitude. 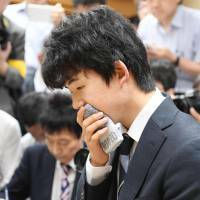 This innocent approach to shogi looked perhaps lost when a highest-rank ninth dan player, Hiroyuki Miura, was accused last October by the association of using smartphone software during official matches. Many players were shaken to find the game under unprecedented scrutiny. 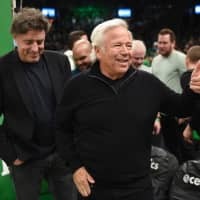 The professional players almost uniformly voiced concerns that public trust in the game had been shattered. 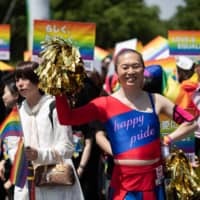 But a third-party panel cleared Miura after an investigation found “no evidence of cheating,” which in turn led to criticism of the association. It was right around this time that Fujii entered the spotlight. And the fresh air the young star breathed into the game proved enough to blow away the cloud hanging over it. Den-osen (electronic king championship) matches, in which professionals play a computerized opponent, have proved another threat to the game’s future because the software has time and again proved too difficult to beat. 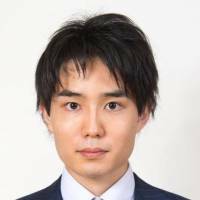 On May 20, grandmaster Amahiko Sato, 29, suffered his second consecutive humiliating defeat to a computer opponent named Ponanza over 94 moves. This followed the title holder’s first 71-move loss in April. In 2016 Sato defeated legendary player Yoshiharu Habu, who holds three major crowns and is widely regarded the game’s top player, to snag his first career title. By that logic, computers have advanced to the upper echelons of the game. In a slew of man versus machine matches recently, professional shogi players recorded a sorry record of five wins, one draw and 14 losses. Ponanza now has seven consecutive wins against shogi pros. But shogi isn’t the only game in which humans have been outperformed by computers. 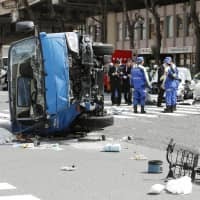 In March, Yuta Iyama, owner of six go titles, was beaten by a computer. The shogi association began organizing matches between top pros and AI opponents in 2012. A team of professionals exposed the software’s weaknesses to take a 3-2 series victory for the first time in 2015, but shogi pros have been struggling against computer-controlled opponents in individual matches ever since. 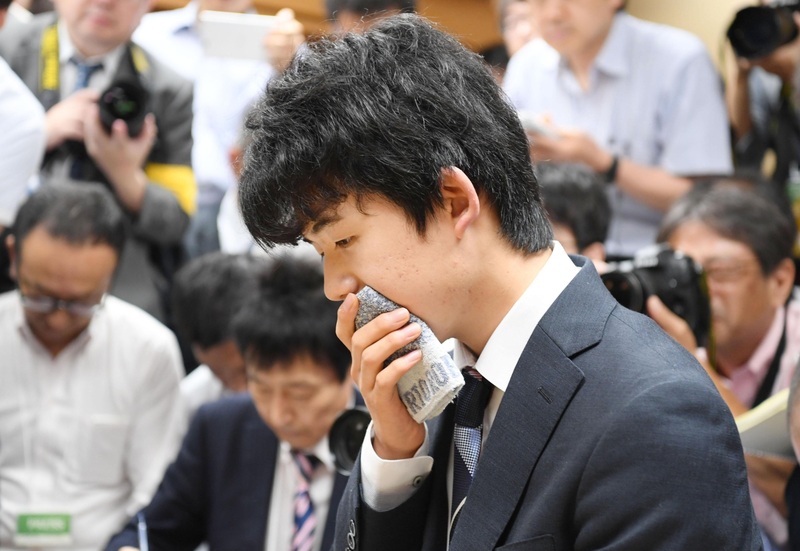 As the youngest pro in the game, Fujii displayed a cool demeanor beyond his years as he faced off against a legendary shogi master to etch his name in history. According to a survey, shogi had 6.7 million players in 2013 before dropping to 5.3 million two years later. A professional shogi journal ceased publication in March 2016 as interest fell in the game. But according to the shogi association, there are currently an estimated 10 million adults and children playing shogi across the nation. Thanks to Fujii, public interest in shogi has been reignited, drawing people young and old to the game, but how long the boom will continue remains to be seen.